After 550+ episodes—and with no end in sight—The Simpsons has changed the way we talk to one another. Here are 10 words that the show has made famous, either by inventing them or re-purposing them to make us laugh, think, and then laugh again. Strangely enough, when Homer asks how to speed up the weight gain process, he's told to substitute bread for Pop Tarts. Years later, stores in the UK and Australia started stocking "Frosted Chocotastic" Pop Tarts. Kellogg's states that in this case, Chocotastic means "Chocolate flavour filling in a frosted pastry," 198 calories at a time. Unmoved by Homer's weak Christmas lights, Bart offers that the display looks "craptacular" in season nine's "Miracle on Evergreen Terrace." The word was likely used prior to the episode's December 1997 airing, but it became a popular way to say that something or someone was "spectacularly crappy" after the show's use of it. Some examples of its post-Simpsons use are the 2002 Marvel Comics limited series The Craptacular B-Sides, a Howard Stern contest where contestants weigh the waste they generated after stuffing their faces for 24 hours, and an "Annual Holiday Craptacular" that benefits the San Francisco Food Bank. "Cromulent" is a word created by Simpsons writer David X. Cohen, who would go on to co-develop Futurama with Matt Groening. Cohen came up with the word for the season seven episode "Lisa the Iconoclast," where Ms. Hoover tells Mrs. Krabappel that the slightly less fictitious "embiggen" is a "perfectly cromulent" word. Cromulent is now listed in Webster's New Millennium Dictionary of English, and its dictionary.com listing says that cromulent is an adjective meaning "fine" or "acceptable." 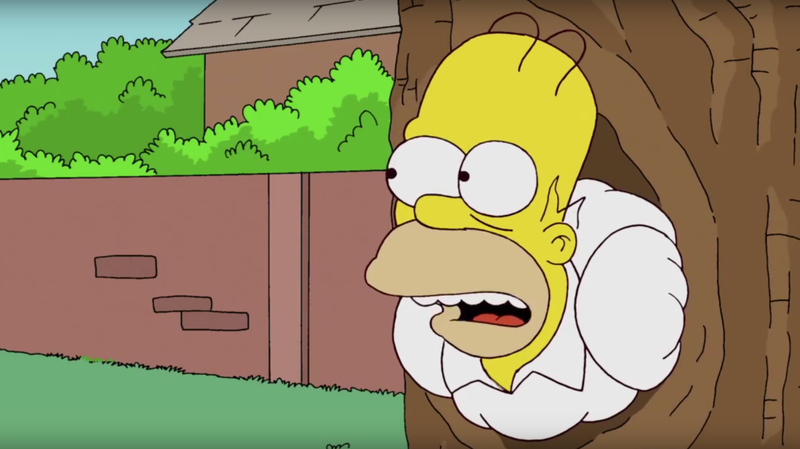 Even though "D'oh" isn't written on Simpsons scripts—"annoyed grunt" has always been how it appears on paper—it's listed in Webster's Millennium Dictionary of English and the Oxford English Dictionary as "Used to comment on a foolish or stupid action, especially one’s own." Dan Castellaneta started saying "D'oh!" as Homer to mimic actor James Finlayson's "Doooooooo" from Laurel & Hardy movies. After Matt Groening told Castellaneta to shorten it due to time constraints, it became "D'oh!" Even though Castellaneta was thinking about a Laurel and Hardy actor, "D'oh" was uttered often between 1945 and 1949 by actress Diana Morrison on the BBC radio series It's That Man Again. Playing the secretary Ms. Hotchkiss, Morrison would leave a room saying "d'oh!" to vent her frustration dealing with her boss Tommy Handley. "Embiggen" first appeared in 1884 when C.A. Ward tried to come up with a suitably ugly new verb to make a point about neologisms. One hundred and twelve years later, it reappeared in "Lisa the Iconoclast" as Springfield's "cromulent" motto: "A noble spirit embiggens the smallest man." Unlike cromulent, embiggen has yet to meet the standards of any legitimate dictionaries. That didn't stop a real-life team of physicists from writing that "...the gradient of the Myers potential encouraging an anti-D3 to embiggen is very mild" in their 2007 paper "Gauge/gravity duality and meta-stable dynamical supersymmetry breaking," published in the journal High Energy Physics [PDF]. Homer pleads for the help of "Jebus" in season 11's "Missionary: Impossible" while escaping from a bloodthirsty Betty White and her PBS pledge drive cronies. Despite the fact that Homer is a regular (albeit unenthusiastic) churchgoer, he was not referring to the Jebusites in the Old Testament who, before King David conquered it, inhabited and built a town called Jebus, which later became Jerusalem—he just got Jesus' name wrong. An investigation into the etymology of "meh" discovered that it may have Yiddish origins, but the first use of "meh" as a word expressing indifference came from a July 9, 1992 Usenet post complaining about Melrose Place. John Swartzwelder was credited with first introducing "meh" into a Simpsons script, and when reached for comment, he claimed he heard it from an advertising writer who said it was the funniest word in the world—in the early '70s. No matter its origins, The Simpsons was responsible for making it one of the 20 words that defined the 2000s, according to BBC News online. Ralph Wiggum famously proved that he deserved his grade when he said, "Me fail English? That's unpossible!" in "Lisa on Ice." Well, it turns out that "unpossible" is an actual word that can be found in Shakespeare's Richard II; it's just another way to say "impossible." It can also be found in 1829's A Glossary of North Country Words, In Use. After Ralph brought the outdated word back to life, unpossible has since been used as a title for a short story collection and a popular game. 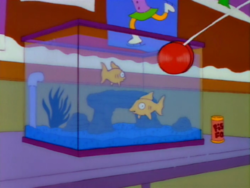 Simpsons writer George Meyer has been credited with coming up with the idea to have a character say "yoink" when taking an item from someone or something. Former showrunner Bill Oakley tweeted recently that Meyer actually got "yoink" from Archie Comics. Still, after being said 23 times on The Simpsons, "yoink" has become the word of choice to make light of a situation when someone's property is being taken. It's also the name of a popular drag and drop app.